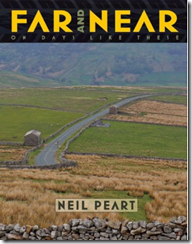 Neil Peart's sixth book, Far and Near: On Days Like These, is expected to release on October 14, 2014. 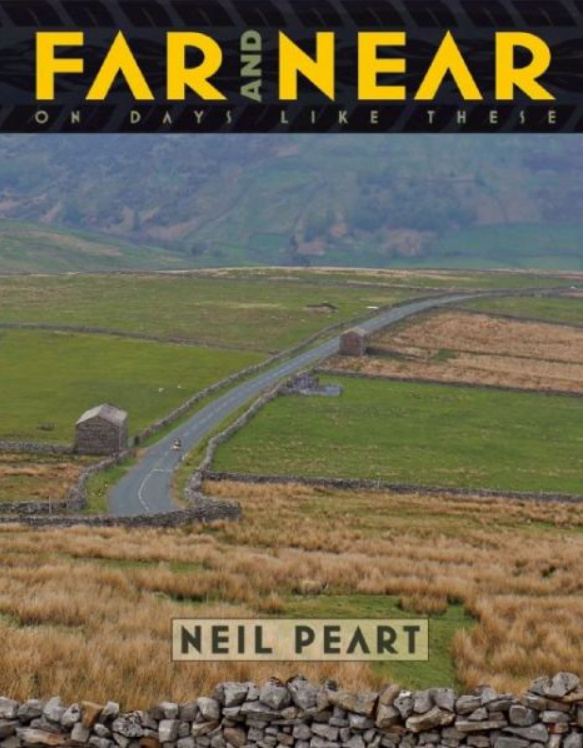 Like his previous book, Far and Away: A Prize Every Time, it's made up of stories that appeared first in the "News, Weather and Sports" section of NeilPeart.net. Details from the publisher (ECW Press) below. You can pre-order from Barnes & Noble (no Amazon entry yet). Far and Away ended with the November 2010 story "The Power of Magical Thinking," which covered Peart's travels during the Time Machine tour leg in South America. Far and Near will probably pick up with "Talking Drums in Death Valley" from February 2011. Now Far and Near brings together reflections from another three years of an artist's life as he celebrates seasons, landscapes, and characters, travels roads and trails, receives honors, climbs mountains, composes and performs music. With passionate insight, wry humor, and an adventurous spirit, once again Peart offers a collection of open letters that take readers on the road, behind the scenes, and into the inner workings of an ever-inquisitive mind. These popular stories, originally posted on Peart's website, are now collected and contextualized with a new introduction and conclusion in this beautifully designed collector's volume.